One year ago in these pages, I published my first status report as Army chief of staff. In it, I outlined my three priorities: Readiness, future force and people. My priorities have not changed over the past year; readiness remains the No. 1 priority. The security challenges we face also have not changed. Great power competition is returning to a world wracked by irregular war and stressed by violent instability and rapid change. Our Army’s fundamental purpose—to fight and win our nation’s wars—certainly has not changed. Our understanding of what must be done has changed. Over the past year, we have laid a promising but incomplete foundation for improving current readiness. We have new insights into the character of future conflict, and we have had glimpses of what our Army and its soldiers must be ready to do in the coming decades. Make no mistake: We have the best fighting force the world has ever seen, and the million men and women who make up the Total Army stand ready to execute the nation’s missions. As you read this, more than 187,000 soldiers are serving abroad in over 140 countries around the world. Here at home, soldiers are helping our friends and neighbors recover from natural disasters. In Europe and Asia, we are reassuring allies while deterring powerful adversaries who practice aggression and militarized competition that increase the chance of miscalculation and war. We are working with allies and partners to train, advise and assist Iraqi and Afghan forces as they fight ruthless enemies within their borders. We are engaging our partners in Africa and throughout the Americas. At home, we partner with civil authorities to provide aid, protect our citizens and defend our nation. In every circumstance and region of the world today, our Army stands ready to deter, to fight and to win. 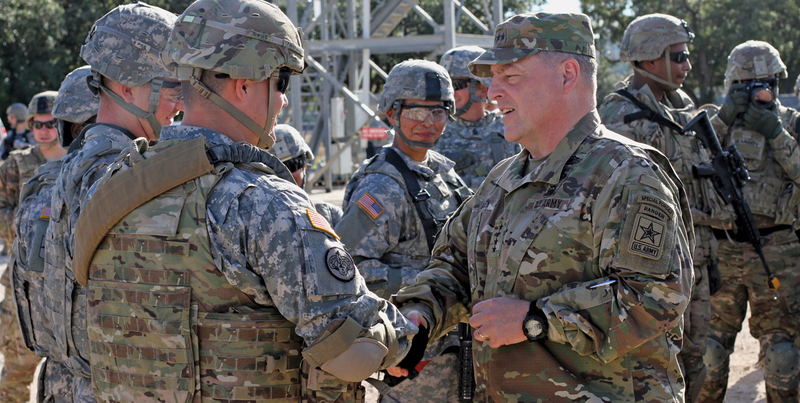 Chief of Staff of the Army Gen. Mark A. Milley visits soldiers at Fort Hood, Texas. Special operations soldiers participate in a bilateral exercise in Tbilisi, Georgia. We can and must remain capable of accomplishing any mission, anytime, anywhere. But the most demanding challenge we increasingly face is the ability to deter or defeat the threat posed by nation-states. This is our benchmark for measuring Army readiness; it requires our greatest focus and effort. We are making real progress improving the Army’s current readiness, but much remains to be done. 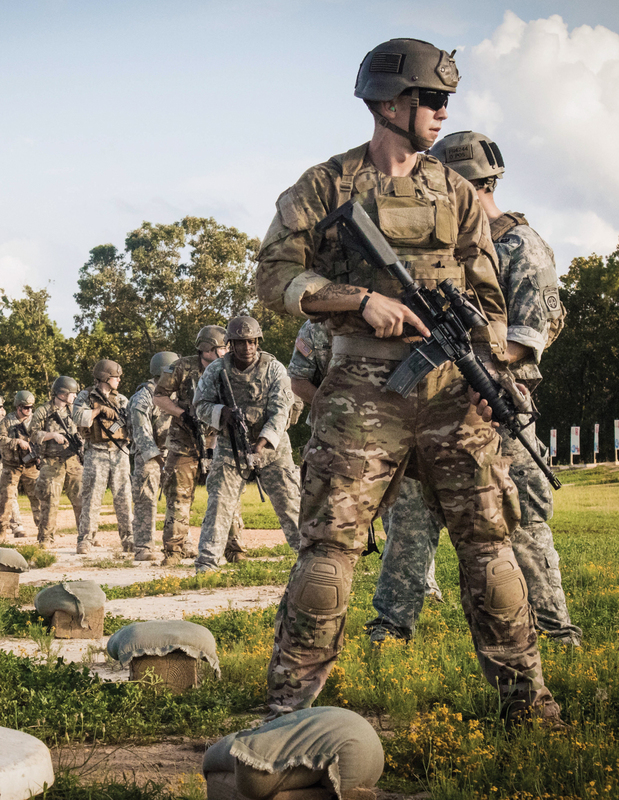 In training, we have increased throughput at our world-class combat training centers by over 25 percent, an increase from 15 to 19 brigade combat team rotations a year. These rotations now include brigade- and battalion-level combined arms live fires, a key skill and a demonstration of power that gives our greatest adversaries pause. And we are training as we will fight. We are establishing an Associated Units program to build habitual relationships among our active, Reserve and National Guard units. 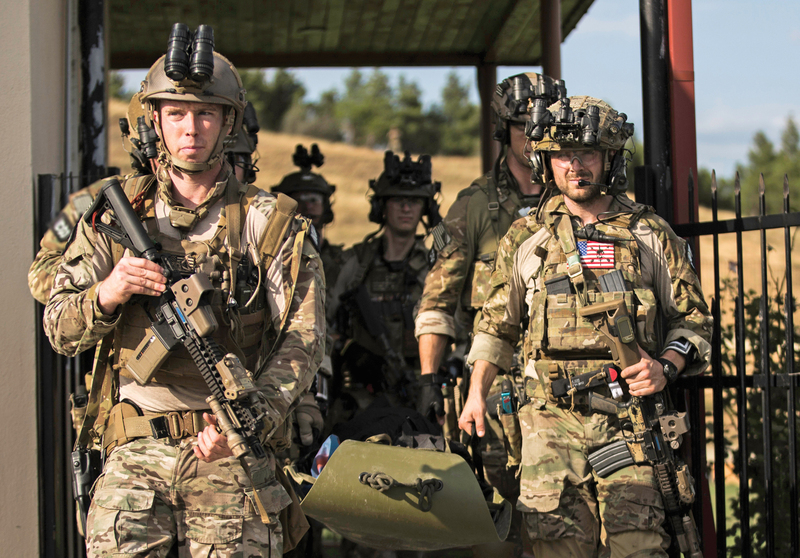 We have also increased participation of joint and special operations forces in our combat training center rotations to sustain our conventional and unconventional synergy that we developed over the last 15 years of war. Our readiness focus remains on our soldiers and our standards. We are introducing new combat-based fitness standards and this year, we will build our first fully gender-integrated combat units. War is a very unforgiving environment and these units, like all our units, will be based solely on combat standards and effectiveness. We have also refined administrative and medical personnel policies to allow commanders to more effectively manage their soldiers and improve unit readiness. We are increasing the rigor in our leader education and development systems to include increased vetting for selection to command. Finally, we are refining our personnel assignment policies to increase unit level staffing and stabilize the force. American soldiers must have the best equipment in the world. To ensure that goal is achieved, we are reducing unit equipment shortages and improving equipment readiness; refitting and resetting our equipment returning from theater; and modernizing the remainder with priority to our mobility, lethality, protection, aviation, electronic warfare and cyber, ballistic missile defense, long-range precision artillery, and communication capabilities. In Kuwait, Spc. 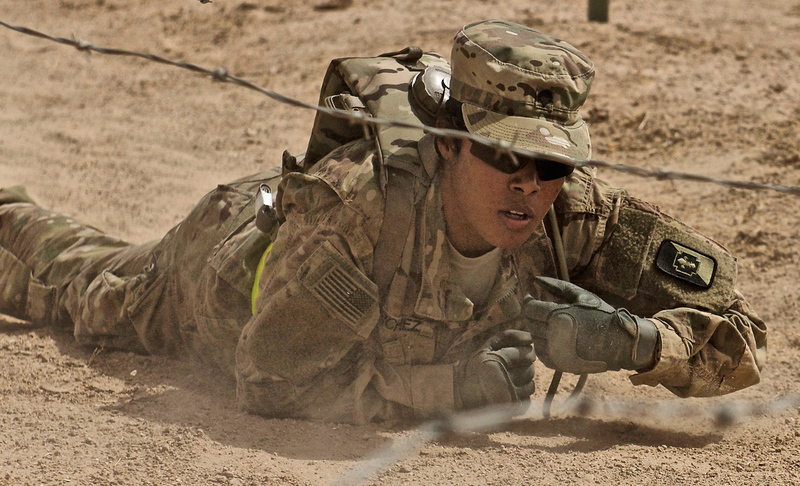 Dayanna Sanchez competes in the 2016 U.S. Army Central Soldier of the Year competition. These changes are creating powerful momentum for our transition from an Army almost solely focused on counterinsurgency and counterterrorism to one that is ready for the full range of today’s threats. But even as we sharpen our readiness for today’s challenges, we must also anticipate and prepare for those of tomorrow. Over the past year, we have invested significant time and thought into examining the character of war. The nature of war—the use or threat of violence, as an extension of politics, to compel the enemy to our will within the fog, friction and chance of combat—is immutable. However, the character of war, or its expression and form, changes due to unique geopolitical, social, demographic, economic and technological developments interacting, often unevenly, over time. Shifts in the character of war offer an opportunity. If we can anticipate or at least recognize them, we can adapt proactively, maintaining or regaining overmatch and forcing competitors to react to us. Missing these shifts, however, can have devastating consequences, as the experiences of our own Civil War, World War I, and opening years of World War II demonstrate. I believe we are on the cusp of a fundamental change in the character of war. Technology, geopolitics and demographics are rapidly changing societies, economies, and the tools of warfare. They are also producing changes in why, how and where wars are fought—and who will fight them. The significantly increased speed and global reach of information (and misinformation) likewise will have unprecedented effects on forces and how they fight. For example, the proliferation of effective long-range radars, air defense systems, long-range precision weapons, electronic warfare and cyber capabilities enables adversary states to threaten our partners and allies. Even if we do not fight the producers of these sophisticated weapons, warfare will become more lethal as they export this advanced equipment to their surrogates or customers. Crises involving such adversaries will unfold rapidly, compressing decision cycles and heightening the risks of miscalculation or escalation. Conflict will place a premium on speed of recognition, decision, assembly and action. Ambiguous actors, intense information wars and cutting-edge technologies will further confuse situational understanding and blur the distinctions between war and peace, combatant and noncombatant, friend and foe—perhaps even humans and machines. Warfare in the future will involve transporting, fighting and sustaining geographically dispersed Army, joint and multinational forces over long and contested distances, likely into an opposed environment and possibly against a technologically sophisticated and numerically superior enemy. All domains will be viciously contested, and both air and maritime superiority—which have been unquestioned American advantages for at least 75 years—will no longer be a given. Forces in theater should expect to operate under increased public scrutiny, persistent enemy surveillance, and massed precision long-range fires with area effects. Close combat on sensor-rich battlefields of the future will be faster, more violent and intensely lethal, unlike anything any of us have witnessed. And the majority of our operations will likely occur in complex, densely populated urban terrain. Clearly, the next 25 years will not be like the last. The threats and missions we face today will endure well into the future, but they will be overshadowed by emerging great power competition. It seems likely that all forms of warfare will grow faster, deadlier and more ambiguous while expanding into new physical and virtual domains. Our future Army and soldiers must be ready not only for a more lethal version of the violent instability of the past 15 years, but also for ground combat against a numerically superior peer adversary that is every bit our technological equal. These challenges demand an Army that can respond with greater intelligence, power, lethality and speed, as well as greater soldier, leader and organizational adaptability, to seize and retain the initiative from our enemy. The time to prepare is now. There are many implications of this changing character of war. I offer four. How will we project power into a contested theater and rapidly transition to offensive operations? How will we project power into all domains to create periods of domain superiority that enable the joint fight? How will we fight into and inside sophisticated enemy defensive schemes—possibly at the leading edge of the joint force—and win? How will we fight into and inside complex, dense terrain—especially urban areas—and win? 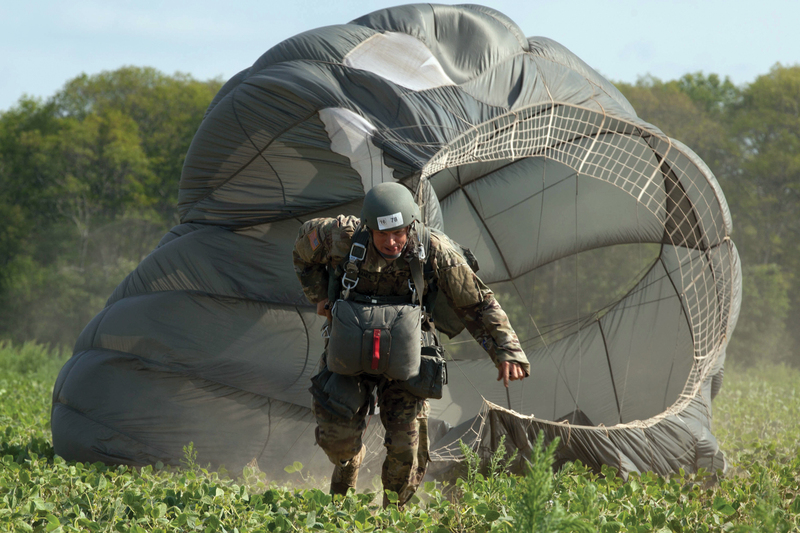 A U.S. Army paratrooper runs toward a target in an international event and competition hosted by the 56th Troop Command, Rhode Island Army National Guard. Troops on a reflexive-fire range at Fort Bragg, N.C. Solving these problems will be a significant undertaking. They were not our principal focus for the past several decades; we cannot overlook them anymore. Second, we must retain the competencies, capabilities and capacity we built for the counterterrorism and counterinsurgency fights of the past 15 years. These missions are not going away and may increase in both frequency and severity, but we must acknowledge that the context is changing. We must balance our recent wartime experiences with time-tested lessons from the past and fresh, rigorous thinking about the future. Third, we must establish a common recognition among allies and partners of the collective problems we face and the best way ahead. We always fight as a joint force, and we are most successful when we fight as part of a combined multinational team. While our armed forces will always be capable of fighting alone, our priority is to fight together. Finally, as we work through these implications, we must honestly and critically re-examine our own operational and institutional models. Mastery of classic combined arms principles is a must, but the advent of new technologies and the rising importance of virtual domains such as space and cyber are evolving the relationship among soldiers, machines and software. As the character of war is about to undergo a fundamental change, both the operating force and the institutional Army likewise look fundamentally different as we develop and sustain new forms of maneuver, mass and mutual support. We will not shrink from hard decisions, and we will ground them in rigorous testing and evaluation, but the speed of implementing our changes will be the key determining factor in the opening salvos of the next war. I am proud of this Army, and all who are in it. Your hard work and dedication inspire me and make me confident that we are equal to the challenges we face. My assessment after one year is that our Army is on track for improving current readiness, but we are only just beginning. We will continue to study the changing character of war; test our assumptions about the future; and make important decisions today that shape the soldiers, structure, equipment and ultimate readiness of our future Army. 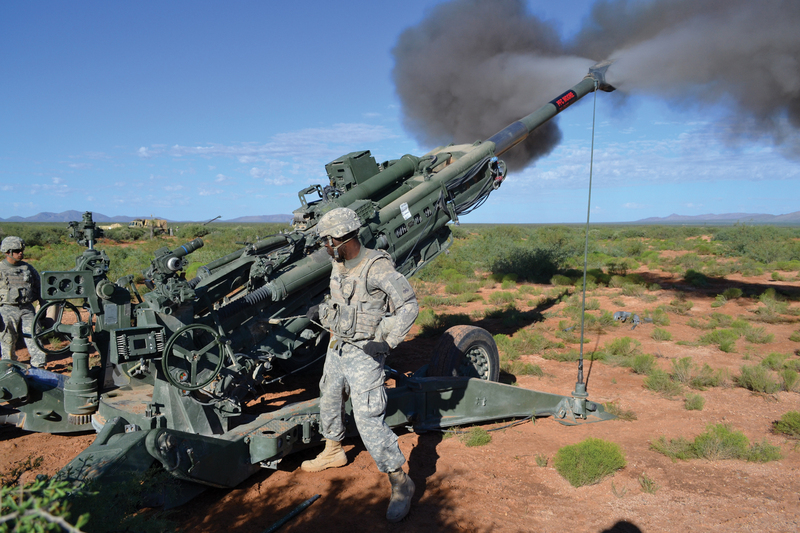 A 1st Armored Division soldier participates in a live-fire exercise at Dona Ana Range, N.M.
To paraphrase the great military historian Michael Howard, we may not get it exactly right, we just have to get it less wrong than our enemy. Our role today is to get the future Army about right, and to create viable options for the Army leaders of tomorrow to select and refine in their time. Although the future is impossible to define with precision, we must act now. The U.S. Army will not fail the next generation of leaders and soldiers and most importantly, we must not fail the nation. The world is rapidly changing, but I know one thing is constant: Our Army must always be ready to fight and win our nation’s wars as part of the joint force. We will be ready, now and in the future. 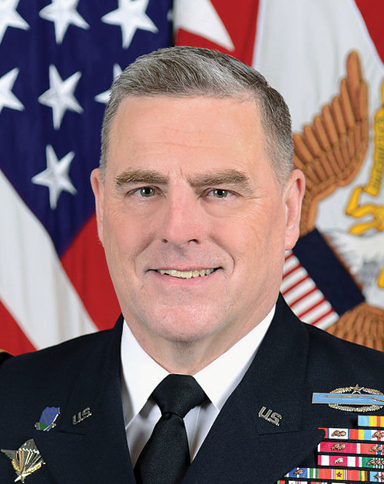 General Mark A. Milley assumed duty as the 39th Chief of Staff of the U.S. Army August 14, 2015 after most recently serving as the 21st Commander of U.S. Army Forces Command at Fort Bragg, North Carolina. A native of Winchester, Massachusetts, General Milley graduated and received his commission from Princeton University in 1980. He has had multiple command and staff positions in eight divisions and Special Forces throughout the last 35 years.